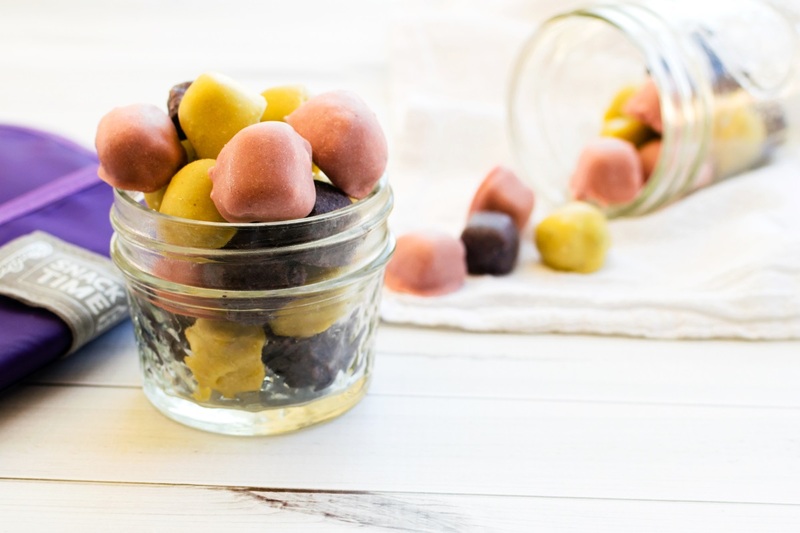 Last week, I shared an update on our Back to School Food Allergy Tips, and on Monday, I posted my new back-to-school-worthy treat recipe for Fruity White Chocolate Covered Snack Bites. Today, I’m keeping with that theme by offering up this fun banana sushi rolls recipe! Because they are made with sliced banana, these banana sushi rolls are best when made fresh. 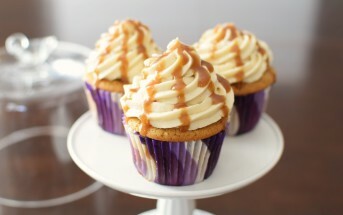 You can enjoy them with kids for breakfast or as an after school snack. 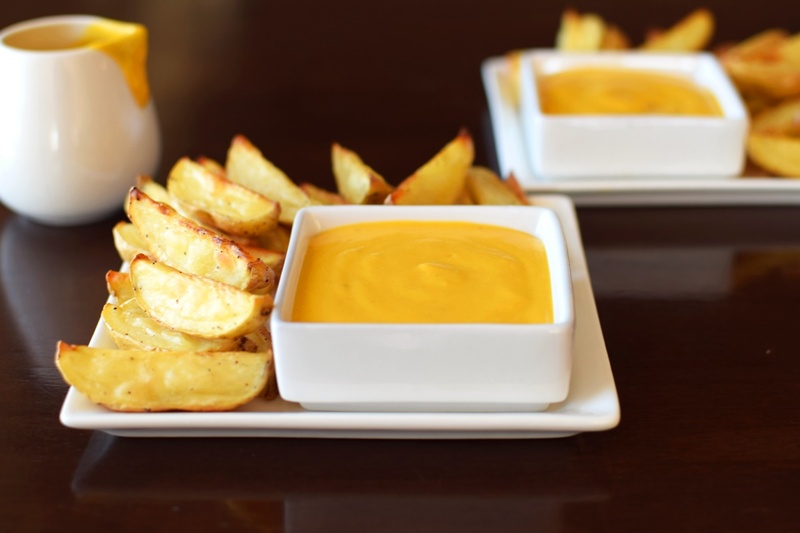 But if you want to pack them into lunchboxes, keep the rolls tight and brush the exposed pieces of banana with a little citrus or honey to help prevent oxidation. 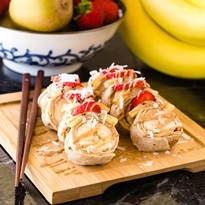 This Banana Sushi Rolls recipe with photo was shared with us by Produce for Kids on behalf of their #PowerYourLunchbox program at poweryourlunchbox.com. 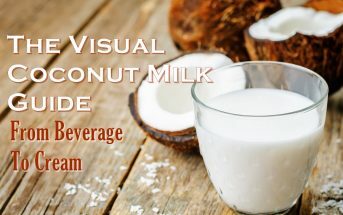 By ingredients, this recipe is dairy-free / non-dairy, egg-free, optionally gluten-free, optionally nut-free, optionally peanut-free, optionally soy-free, vegan, plant-based, and vegetarian. 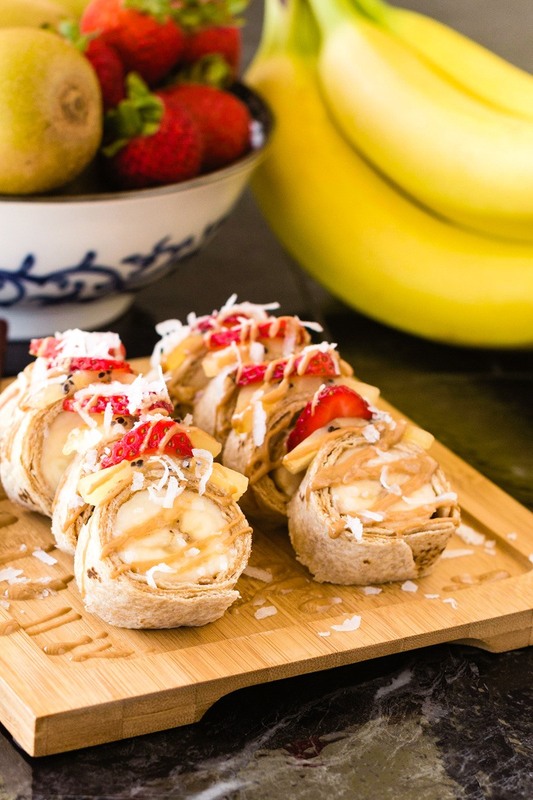 For grain-free and paleo-friendly banana sushi rolls, try a coconut wrap in place of the tortilla. Lay the tortilla on a flat surface, and spread on half of peanut butter. 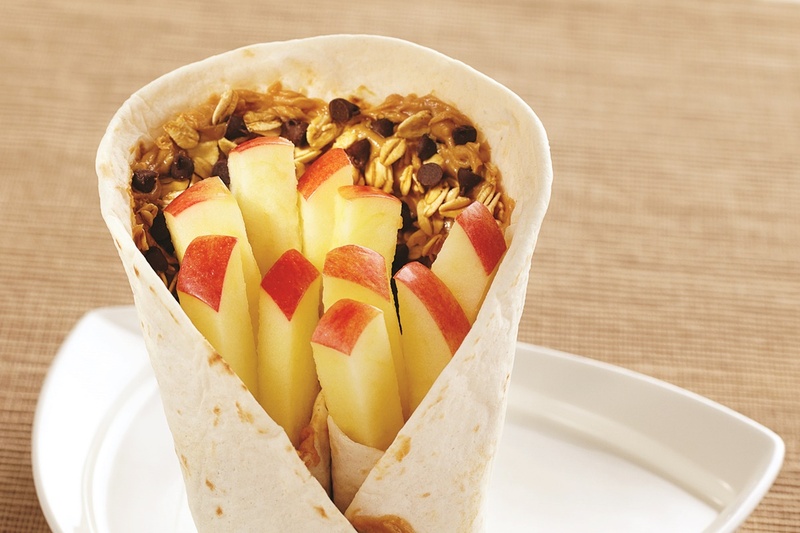 Place the banana on one end of the tortilla, and then roll it up. Cut the roll into even slices, and place strawberries and kiwi slices on top. Heat the remaining peanut butter in your microwave on high for 30 seconds, or until melted. 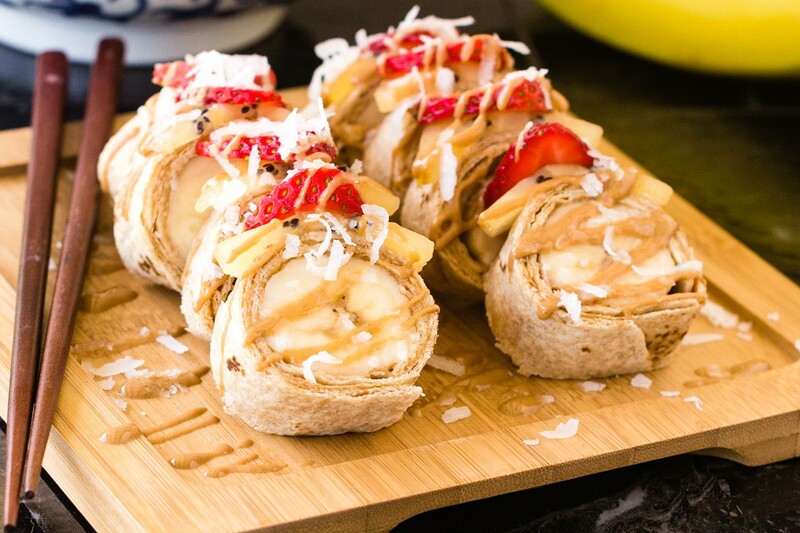 Drizzle the melted peanut butter over the banana sushi rolls, and then sprinkle the top with shredded coconut.